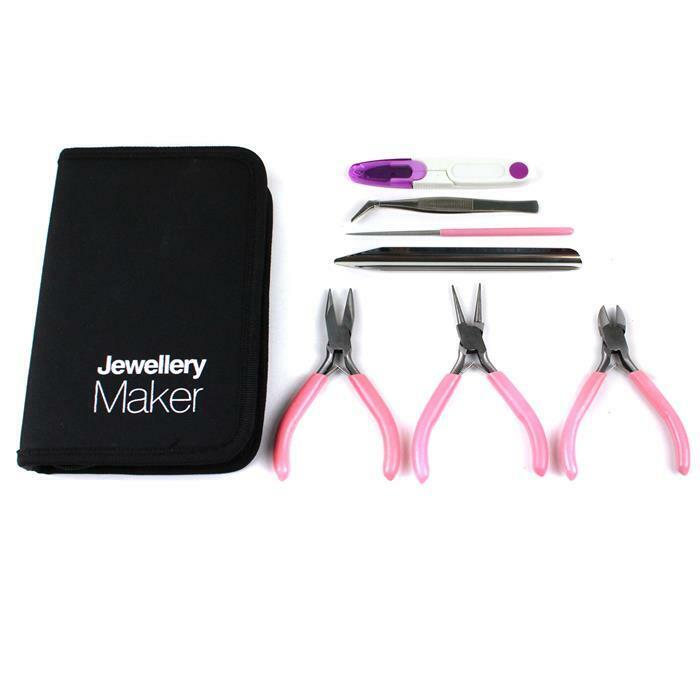 An essential 8pc tool kit for all your jewellery making needs containing a range of essential pliers, a gauge, a bead reamer, snips and a storage container. Love love these tools, I’ve got small hands so these are perfect for me. All the essentials. a really useful set. Disappointed that I didn't get the offer of the jewels that were on offer on the day that I called. I was offered a booklet instead, which is good but not the main reason for my calling and ordering that day. I love the set it is nicely packaged and i look forward to using them very soon when I have all the bits I require to build a piece of jewellery. Good basic kit, comfortable to use. 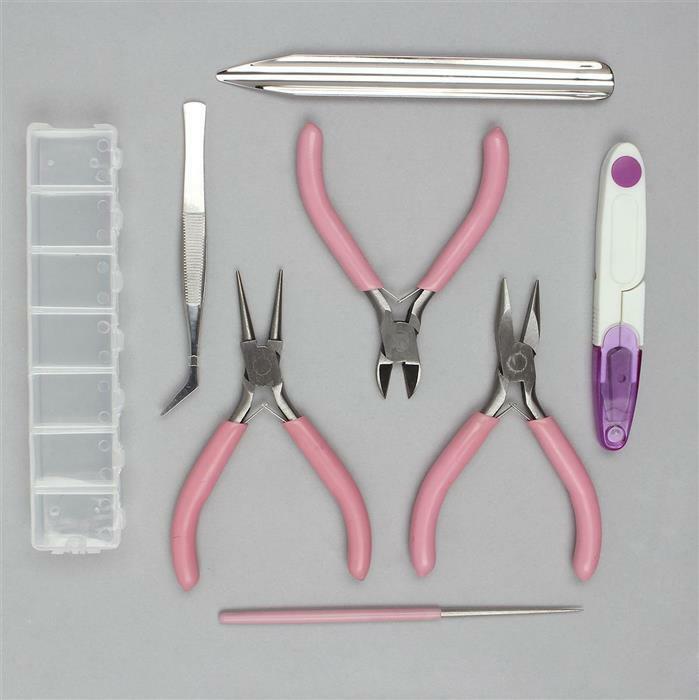 But pink handle on cutters has a black blob ingrained on one part of handle. As these were for my own use not worth sending back but if these were a present for someone I would have returned. Might be worth check stock for others. The tools look great. Have not tried them yet. Really really pleased with them. A good selection of tools and a good price. The reamer has already started to wear away. Bargain price. Always need tools. Bought on behalf of a neighbour to help fix broken jewellery. She was pleased with the contents. handy kit, glad its all in a case. 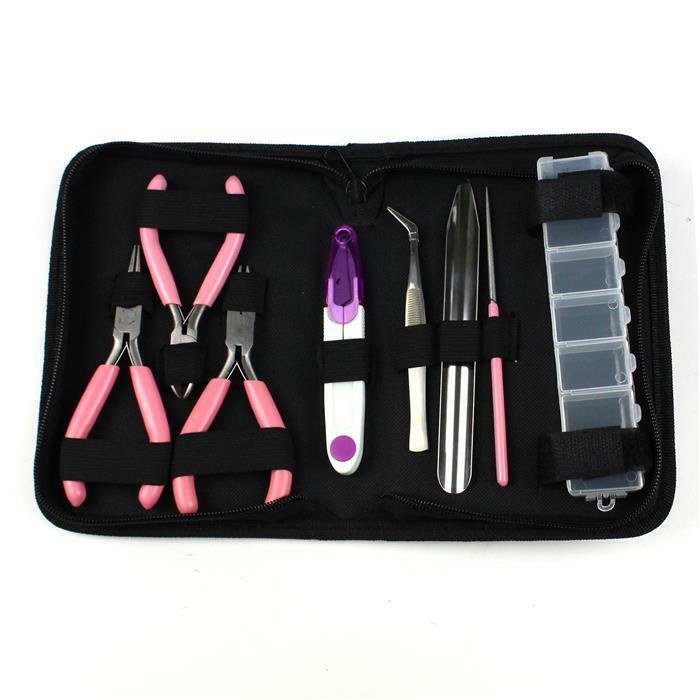 Good kit but I had to buy some tools as I didnt get a free set when I placed my first order. Bought as a gift to stop mine being borrowed!! Just what I wanted and a free DVD great value. All you need at the right price to get you started. 237 customers did not leave a comment.